was co-created in Brussels by German parents and has grown up in various places in Germany. She has lived and worked as a designer and innovator in California, Tokyo, Rotterdam and Mallorca and is based and feels at home in Barcelona and Stuttgart. She is a strong Lateral Thinker, flexible and agile in her solution-driven approach to challenges, and produces unique and tailored solutions to optimise processes and resources. Because of her foundation in Design Thinking, she can apply a variety of human-centered approaches and insights to strategies and processes. 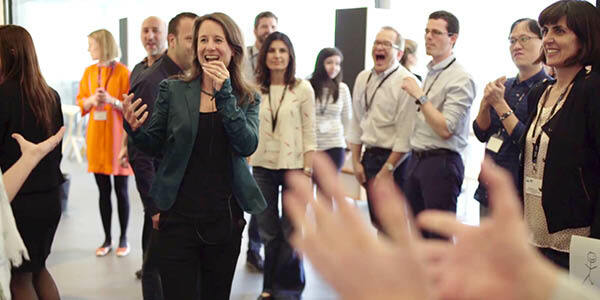 Nadine combined the most powerful elements of Lateral Thinking and Design Thinking into her own methodology Lateral Shortcuts® to create innovative, effective and easy solutions for anything beyond the box. With a proven track record of 15 years executing and 15 years facilitating, Nadine has received various awards, registered patents and has been exhibited and published in international museums, fairs, magazines, books and on TV. In addition, Nadine is an experienced inspirational speaker and has also been lecturing and conducting workshops and master classes in executive and masters level programs in Innovation Strategies, Design Thinking for Business Innovation, Service & Product Design since 2005. Being fully proficient in English and Spanish, the native German speaker also understands Catalan, French and Italian. 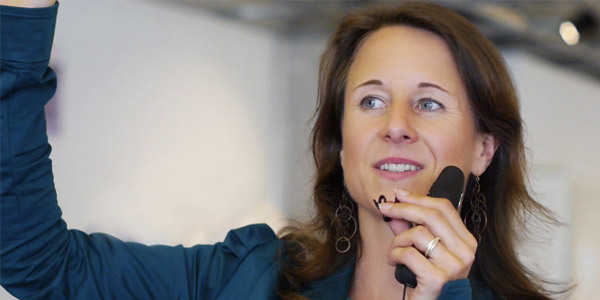 Nadine Meisel applies her award winning inventor’s approach to help international organisations (i.e. Lego, Volkswagen & Puma) reframe uncertainty and high-level challenges and transform them into tangible business opportunities. We inspired and drove “Volkswagen beyond cars” 10 years ahead of its time, co-created 8 new future business strategies, products & services for SEAT in 2 days, accelerated Puma’s entire design and development process from 6 months to 6 weeks, and helped rescue m114 from bankruptcy to boom with non-obvious resources in just 1 week. Combining customer needs + business viability + technological feasibility from a systemic perspective, we co-create innovative + effective + easy solutions with our clients and solve anything beyond the box by applying Nadine’s own methodology Lateral Shortcuts®. We offer consulting and workshops in applying the methodology to all areas and phases of business, innovation and strategy projects and product and service design. From team catalyzing, detecting new opportunities, conceptualizing new strategies, services or product lines to design and implementation. Our interdisciplinary team consists of a wide network of expert collaborators to assure the highest levels of quality, professionalism and flexibility.